Ron Case.... The only name You Can Trust! 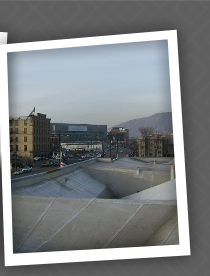 We are the Oldest Local Family owned Roofing and Asphalt Paving Contractor in Utah since 1969. 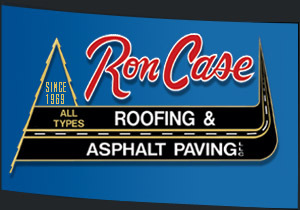 Over 49 years in Business, Ron Case is the original owner and Proud to serve all of your Residential, Commercial & Industrial needs. No job is too big or to small. Free Estimate All Types Roofing and Construction. 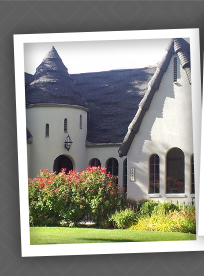 Ron Case Roofing has a Proven Professional history with thousands of satisfied customers. We offer service in all types of Roofing & Asphalt Paving including everything in between. 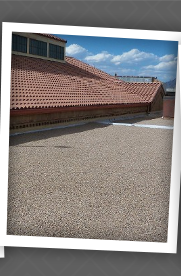 We create Custom Roofing specifications on every job with workmanship quality that is unsurpassed. Do you need Roof repair? Have a Leak? WE CAN HELP! Ron Case Roofing has trained certified applicators that repair your leaks right the first time! 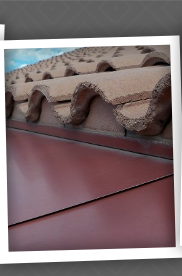 We offer all types of roofing solutions for you to meet your personalized needs. We provide the highest quality Materials, Specifications, Installation and Application standards in the industry at affordable roofing prices. You are treated like Family, your project is treated like our own, we DO NOT cut corners to make a profit and you can be assured your Family assets are protected with your new Ron Case Roof. Case Construction at it's best. ** Do not get fooled by inferior contractors , dishonest, Out of Town, fly by night storm chasing Roofers ** If you spend one dime on a bad roof, you will spend three dimes to repair or replace it! We offer Free Estimates, Real Estate Certified Roof Inspections, Custom Specifications and application for your project no matter the size. We can help with everything From your Drive way / Parking Lot to the Roof and everything in between. ~ Professional Applicators of All Manufacturer's Products including: Tamko, GAF, ELK, Firestone, Owens Corning BP and more. Now Hiring Drivers and applicators and Sales, just fill out our online employment application or stop by our Salt Lake location, We train Roofers and Paving employees. High Profile, Dimensional, 3 Tab, Architectural & Specialty Asphalt Shingles, Hot Tar & Gravel Roofing, Built Up, Cold Roof systems, Single ply, Torch Down, EPDM, TPO, PVC, Metal, Cedar Wood Shake, Cedar Wood Shingle, Tile, Modified Bitumen, Historical Restoration, Ice Melting systems, Asphalt Paving, Rain Gutters, Custom sheet metal fabrication, flashing, trim and siding. Many aspects of your roof are often overlooked by roofers such as proper consideration and specification for climate changes effecting Ventilation, Snow and Ice, freeze, frost and water flow from the roof, solar powered alternatives, expansion and contraction effects on your building perimeter, field and roof top flashing of penetrations such as chimney's, Valley's, sewer vent and plumbing pipes. 24-Hour Emergency Service, For any problem - Flood & Fire & Disaster Clean Up and restoration. 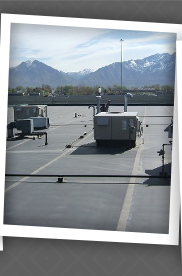 Including Roof repair, Rooftop Snow Removal and Deicing or Roof top Ice melting product, Plugged Drain Pipes. We work with insurance companies to help you with the insurance claims process for damage to your building including wind damage roofing and flood or fire disaster. Our sister company Ron Case Roofing Supply, LLC offers Dumpster Rental and rental of tools and equipment related to the industry. Go Green with reclaimed building products, we have Utah's largest selection of hard to find used replacement Bar Tile, Roof tile of many styles, vintage tiles and accessories, out of production Shingles, new, used, and custom Rain Gutter, down spouts, Vents of every kind, lumber, vents, Metal roof panels and more. Now Hiring Roofers, Sales Reps, Accounts Payable Rep, CDL Drivers, Asphalt Paving, Construction Laborer, fill out the online Help Wanted Application or come in and apply in person. Serving all of Utah, Metro, Davis County, NSL, Bountiful, Centerville, Layton, Farmington, Kaysville, Woods Cross, Salt Lake City, West Valley, Magna, Murray, Midvale, Kearns, Taylorsville, Cottonwood Heights, Millcreek, Sandy, Draper, West Jordan, South Jordan, Herriman, Riverton, Bluffdale, Alpine, Lehi, American Fork, Orem, Provo, Park City, Heber. New Roofing, roof replacements, shingle roofs, tar and gravel roofs, tile roofs, wood shakes, roof repairs, commercial roof repairs, EPDM, TPO and PVC roofs, modified bitumen roofs, all commercial, industrial, and residential roofs. Roof leaks fixed right, guaranteed service. Emergency roof repair. Emergency Flood and Fire service. Free estimates. Tar and gravel experts. Roof replacement experts. Quality affordable roofing and Asphalt Paving. Now exepting applications and actively hiring. High Profile shingles, Dimensional, 3 Tab, Architectural & Specialty Asphalt Shingles, Hot Tar & Gravel Roofing, Built Up, Cold Roof systems, Single ply, Torch Down, EPDM, TPO, PVC, Metal roofing, Cedar Wood Shake, Cedar Wood Shingle, Tile, Modified Bitumen, Historical Restoration, Ice Melting systems, Asphalt Paving, Rain Gutters, Custom sheet metal fabrication, flashing, trim and siding. Reclaimed Lumber, Metal Roof Panels and more.